You will find hereafter the answers to the most common tax questions we are asked by expats and expat employers assigning employees to France. Am I French tax resident during my assignment in France ? You cannot decide whether you are a French tax resident or not. Your tax residence status (resident or non resident) will be determined depending on the following conditions. You have in France the center of your business interests. If you meet one of these conditions, you will be considered as a French tax resident under French domestic law. If you meet none of them, you will be considered as a tax non resident in France. Mr. Smith has been assigned to France as from the 1st of September 2015 for a 3-year mission. He is married and has two children. The whole family arrived in France the 1st of September. During this 3-year period, Mr. Smith will rent his appartment in London. He will receive a yearly rental income amounting to £ 50 000. His annual gross salary amounts to £ 90 000 (this salary will be considered as a French-source income while he works in France, regardless of which company pays it). Under French domestic law, Mr. Smith is considered as a French tax resident. The application of this treaty leans in favor of a tax residency in your home country (whenever a double tax treaty is applicable, one individual can only be tax resident of one State). Usually international tax treaties arrange that when two States consider one person as tax resident, this person will only be tax resident of the State where he has his main place of abode. You must always check in the applicable treaty the particular rule related to the determination of tax residency. If you think you meet these two conditions, we strongly recommend you to check your tax residency status with a tax specialist in France or in your home country. Do I have to file a tax return in France ? French tax residents must file an annual tax return and declare their worldwide income (French-source and foreign-source income). Double taxations can be avoided by the application of double tax treaties and of expats favorable tax regimes. French tax residents must as well declare all of their foreign bank accounts and foreign life insurance contracts. Wages related to a professional activity performed in France (unless specific conditions are met). How to file my French tax return ? In France, tax returns are submitted the year following the year of perception of the income : 2016 income tax returns will have to be filed in April / May 2017. You will not be able to use the online filing for this first tax return since you do not have a tax number to log in into the tax administration website. For first submissions, there is no other option than to fill in paper forms and to send them to your local tax center (how to find the address of my local tax center ?). You can download these forms from the French tax administration website (link) or collect them in your local tax center. The filing deadline for “paper” submissions is the 17th of May 2017. For taxpayers whose 2015 reference income (“revenu fiscal de référence”) exceeds 40 000 euros, it is mandatory to submit an online tax return on the French tax administration website : www.impots.gouv.fr. In any case, we strongly recommend to our clients to use the online submission (which is safe, time-saving and easier). The filing deadline for online submission depends on where you live (from the 23rd of May to the 6th of June 2017). May I benefit from the French favorable expat tax regime ? 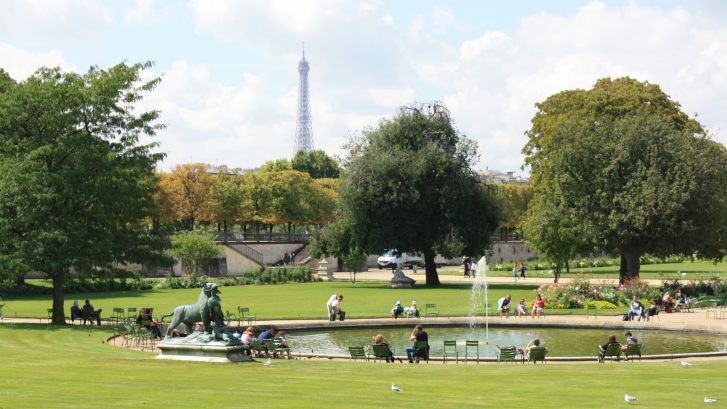 France offers a favorable tax regime for expats assigned to France. This regime applies the year of the arrival and the 8 following years (article 155 B of the French tax code). You must be an employee (some directors and independent workers may as well benefit from this expat regime). Your expatriation-related items of compensation (example : housing allowance, expat premiums, cost of living allowances etc…) may be exempted from income tax. Warning : The expat taxable salary after application of this tax exemption cannot be inferior to the reference salary than a local employee would have received for the same position. The part of your remuneration related to the days of work performed out of France may be exempted from income tax. Example : 220 days of work per year including 22 days (10%) of work outside France : 10% of the taxable salary will be tax exempt. Warning : These expat tax exemptions are capped with a complex cap system (link towards the French tax administration website). If you benefit from one of the previous tax exemptions, you may as well be eligible to a 50% exemption on your foreign-source dividends, interests and capital gains, provided that they are received in a State having signed with France a tax treaty including a clause of mutual administrative assistance (link).